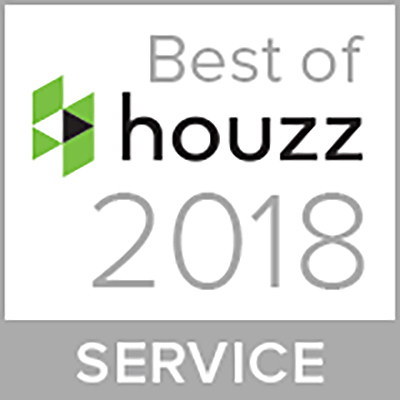 HOUZZ BEST IN SERVICE 2018! What’s the best way to cheer up a dull January day? 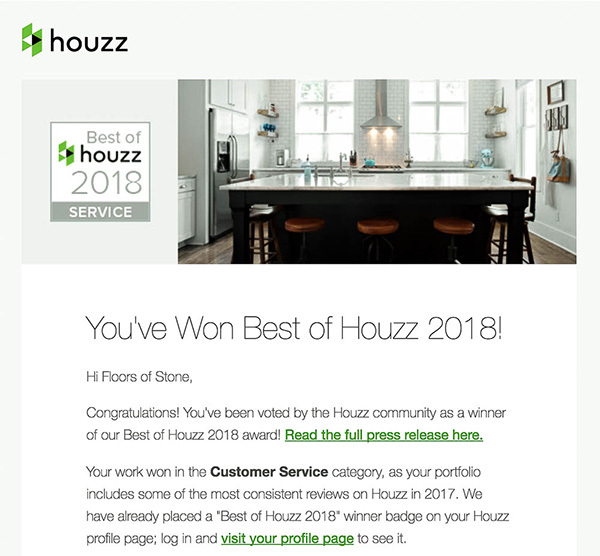 Finding out you’re a winner in the Best of Houzz 2018! It definitely made our day! For the second year running, we have received a Best in Service Award and we couldn’t be happier! Every member of the Floors of Stone team is essential to the smooth running of the business and providing the best customer service we possibly can. 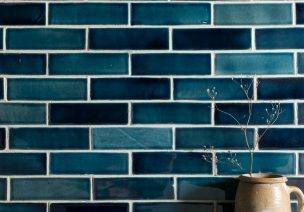 From cutting, packaging and sending out free samples; to responding to customer’s queries quickly; safely packaging and dispatching tiles and ensuring any post-delivery questions are answered swiftly and thoroughly. It’s a hard job, but one that I can safely say every member of our team excels at, and hearing from happy customers makes it all worthwhile. We love seeing your finished projects too. 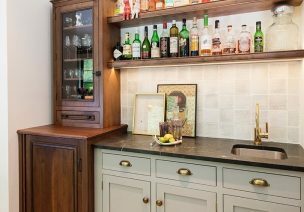 Our badge is now proudly on display on our Houzz profile, which you can see here, alongside our award from last year. 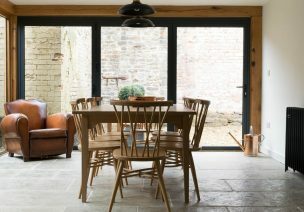 Houzz is also an amazing platform for advice and inspiration if you’re in the middle of a project, so well worth a look. I’d like to take the time to thank all of the FoS team for their hard work and dedication and we promise to keep striving to deliver 5* customer service to earn another badge next year!